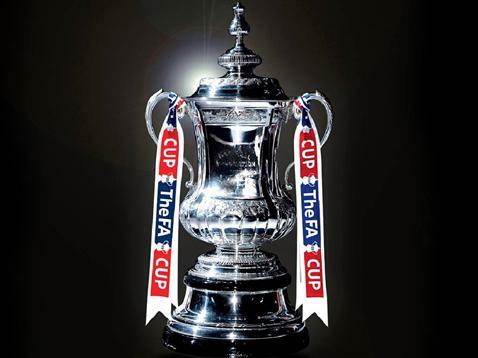 This Saturday and Sunday (April 13 and 14) is the FA Cup Semi-Finals taking place at Wembley Stadium. Predictions for a cup tournament are always difficult to make. There are always the clichés of form going out the window and it is a cliché because it’s mostly true. Wigan currently sit in the bottom three of the Premier League Table while Millwall are in the middle of the Championship Table (16th on 52 points). Millwall should be able to put their focus on this FA Cup clash since they are safe in staying in the Championship for another season (12 points above the drop) but also not close enough to make the playoffs (10 points away from Brighton and Hove Albion). Wigan do have a decent run of form recently going 4-1-1 in all competitions over the past 6 matches (W, L, W, W, W, D). This includes their convincing 3-0 win over Everton at Goodison Park in the FA Cup Quarter-finals. They have played a flowing attacking style of football and they have done better in defending recently. In their past 6 matches they have scored 10 and allowed 6, which includes their 4-0 loss to Liverpool. Millwall may be the home side in this match, but since it is taking place at Wembley Stadium they do not have the boost of utilizing the intimidating atmosphere of the Den. Their recent form is not nearly as good as Wigan’s. They have gone 3-2-1 (W, W, W, D, D, L) in all competitions. They also had to face Blackburn in a replay for their FA Cup Quarter-final. My prediction is for a Wigan win by a score of 2-1. Wigan certainly has the better form on their side and they have shown that they are well and truly ready to fight for an FA Cup finals place. They are a team that are flying high at the moment, especially considering their final minute goal against QPR. Manchester City are coming in to Sunday’s match having beaten Manchester United and should be riding the highs of this win. If you compare this to Chelsea, they seem to have the edge. Chelsea, I would say, narrowly beat a Sunderland side that looks almost doomed for relegation. Chelsea will also be playing in the Europa League which could lead to fatigue setting in for a team that has already looked, and complained about being, tired. Their last match against Sunderland wasn’t exactly a convincing win. They managed to win through a Sunderland own goal and a deflected shot, still, a win is a win. Thursday nights Europa League match could certainly have consequences for Chelsea, especially since they will need to travel to Russia to play Rubin Kazan. A win would be helpful, but if they were to lose, that would be highly detrimental going forward. I expect both teams to have very strong teams. Manchester City will be waiting to hear if David Silva will be fit, but right now, it looks like he will be out. The same is true for Ryan Bertrand and Demba Ba while Chelsea look to be without Ashley Cole and Gary Cahill. It certainly looks like Manchester City has everything going in their favor for Sunday’s big FA Cup match. They will have had nearly a full week to prepare and have limited injuries. They are also coming off of a huge Manchester Derby win. This is their chance to go three consecutive seasons of winning trophies, and their second FA Cup trophy in that time. My prediction for this FA Cup semifinal is a Manchester City win. Chelsea look like they are tiring and they have some key players that are either injured or not fully fit. There is every chance that Chelsea could overcome all of this and get a magical win (it is the FA Cup after all), but it will take some kind of magical win in my opinion. Chelsea play well when facing Man Utd but fare miserably when up against Man City.I also go for a win for Man City.2-0 will be the final scoreline.